A restoration company was working repair damaged areas of the school. 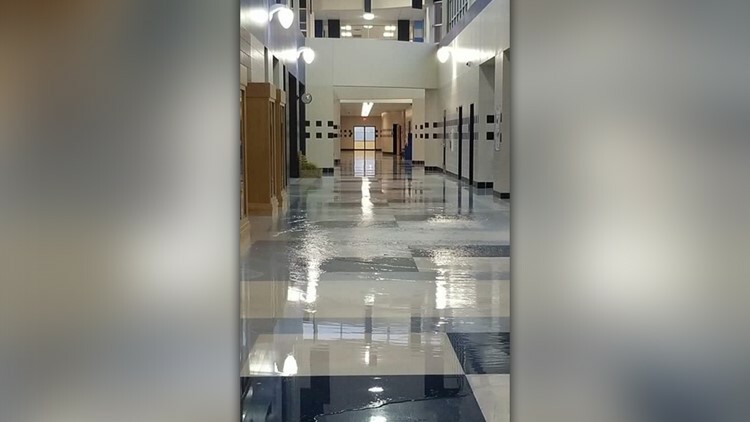 Decatur High School in Wise County will be closed through Wednesday due to the heavy rains and flooding this weekend, the school district said. Due to severe rains and subsequent flooding over the weekend, Decatur High School will be closed Monday, Sept. 24 through Wednesday, Sept. 26. A restoration company is repairing the affected areas so that school can resume normal activities and schedule on Thursday, Sept. 27. Decatur, about 30 minutes northwest of Fort Worth, got more than four inches of rain since Friday, as torrential downpours moved through North Texas. Further south, more than eight inches had fallen since Friday at DFW Airport. Some areas of North Texas, including Anna and Bonham, got more than 10 inches of rain.